A new series for you – this time about my own country – New Zealand. Historically there were 10 provinces (now divided up into 16 regions). 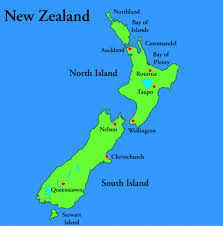 So I am going to look at each region in turn – in alpha order they are – Auckland, Bay of Plenty, Canterbury, Gisborne, Hawke's Bay, Manawatu-Wanganui, Marlborough, Nelson, Northland, Otago, Southland, Taranaki, Tasman, Waikato, Wellington and West Coast. Location – As you will probably know, New Zealand is found towards the bottom of the Pacific Ocean some 2000k (or approx. 1300 miles) to the East of Australia. 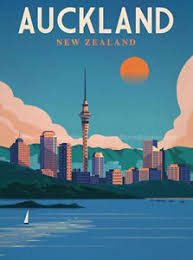 Auckland is the second region from the top and is by far the most populous (just under 2 million of a total population of just under 5 million). 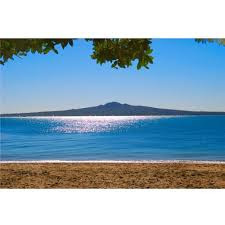 Auckland region consists of an isthmus between 2 harbours and of some islands in the Hauraki Gulf. Nicknames – City of Sails (current holder of the America's Cup). 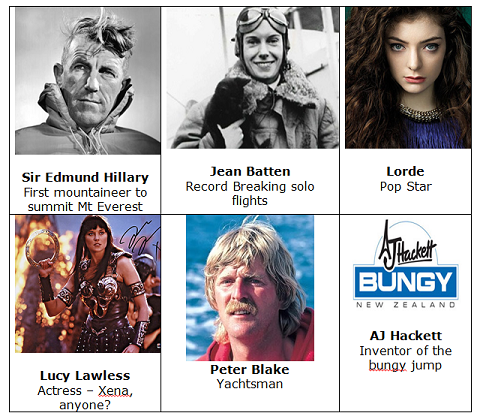 Aucklanders are sometimes known as JAFA's in the rest of the country – an unflattering appellation that has been almost adopted with pride. Email me if you can't work out what it stands for. 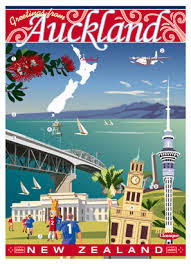 Main City – Auckland – the largest city in New Zealand, it was the capital for a while (25 years) until that honour went south to Wellington. Sport – I won't bother with this heading for other regions – there really is only one sporting obsession throughout NZ – Rugby Union.